This question has remained in my head since I started Grade 3 at school. This was the time when I had started looking at the world around me with a different eye. By professional I am doing job in software company but tourism is my passion . 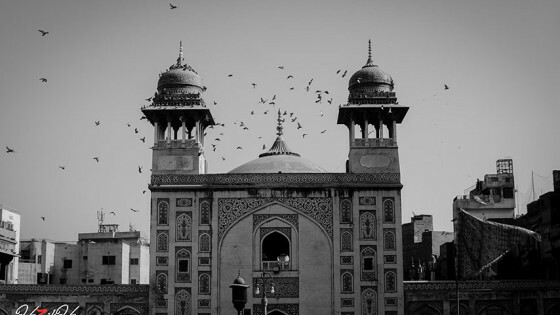 With this aim I used to head to the city of Lahore inviting people to visit me in the Walled City and often would gather a small group who I would end up giving a detailed tour of the area eventually making them agree on the point that no, the walled city is not only about fighting, its full of culture, love and heritage. During my struggle I had met upon many groups working for the betterment of Pakistan such as Pakistan Bikers Club, Motorcyclists Association of Pakistan, Diecast Model Collectors Club of Pakistan, Vintage and Classic Car Club of Pakistan, MAP, Lahore Junction, Lovely Lahore. I started my journey of promoting tourism with a foreign friend that visited Lahore with my Uncle and that was on foot ! 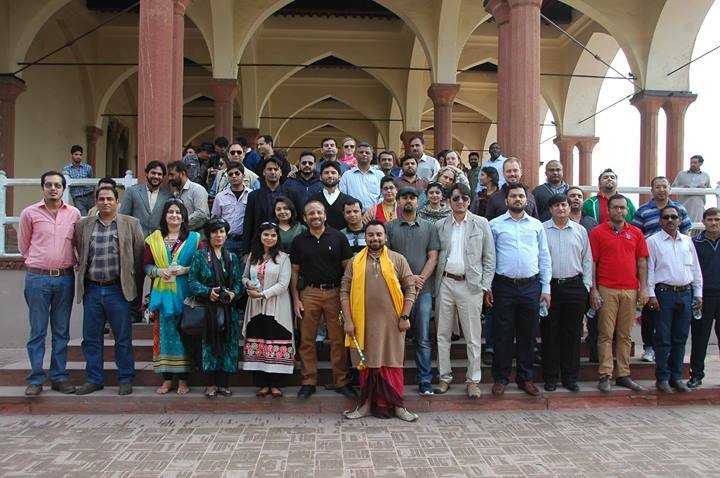 It was with Pakistan Bikers Club and its members that I hosted my first Tonga Tour of the Walled City Lahore. This tour soon became a success and I had many several tours with people from all over Pakistan and even a few foreign tourists. The tour would consist on a group of people who would sit on the Tanga and pass through the Walled City seeing many unseen places such as old havelis, traditional wrestling rings and even the traditional breakfast of the walled city. Another one of my work was Clean Lahore project. This was initiated by me after a few riots had taken place in Lahore and a bad image of our city was being presented by the media after which I got together a group of passionate youngsters and cleaned the roads of Gawalmandi portraying and a peace loving image of our country and its residents. By now tourism had embedded into my blood and I wanted to move it to a bigger scale. Why promote local tourism of my city when I could spread it to all parts of the world? This thought helped me explore my beloved country and promote tourism in parts of Pakistan that were even well known for tribunal wars. I would get a leave from my office and head off to the northern areas of Pakistan packed with all the camping gear needed. From the beautiful hills of Murree to the mouth watering spectacles of Lake Saif ul Malook, my aim would be to spread peace and educate people about my love for tourism. During this time I had met many tourists both local and foreign who would not only appreciate my work but would give me the honour to spend time with them and sometimes guide them to hard to reach places such as Fairy Meadows. My passion for tourism had propelled me to travel across our borders too. I had the honour to represent my culture in India 3 different times in 2008, 2012 nd 2013. My aim once again was to promote my culture thus I would wear my cultural dress and head out to our nieghbours to spread peace and to educate them on our culture. I even had the honour to perform a Punjabi play in India promote my language and my culture. My plans to promote tourism is propelling me to once again visit India and this time with a team of my friends as well as head to other parts of the world to spread the peace loving nature of our country and its native. In 2013 I headed towards khunjrab. My idea was to reach the highest border in the world wearing my cultural dress so once again I set off on my journey heading to my destination wearing my cultural dress of the Lacha and kurta topped off with my signature yellow dupata. Holding my flute in my hand along with my bag pack I would trek, ride on the bus and event ride a horse to complete my journey. The dramatic scenes of the northern areas made me even more passionate to invite people and make them enjoy as much as I was enjoying. Working as a volunteer to promote tourism has always been my passion and by my small contribution u can judge that I can be added in the lists of fanatics. Watching news on the television or hearing people talk negative things about my country is what keep me motivated that I have to prove all this wrong. 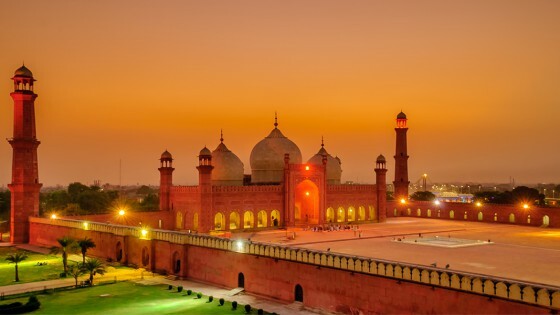 I have met many foreign tourists who go back to their homeland saying that Lahore Lahore hai and even expressing great love for us. When motorcycle tourists come to Lahore I am given the honor to give them a local tour of my Walled City and after they see the true heritage of my city they are forced to erase all the negative rumors about our country. Another thing that I truly believe on to spread smiles. I would be honored to share my theory with you which basically consists of the fact that you can turn painful situations around through laughter. If you can find humor in anything, even poverty, you can survive it. In our life full of problems and troubles its upto us how we deal with them. Being positive will not only make the problems less but will keep one motivated eventually resulting in finding solutions for the problems. One value that was sewn into the stitching of our character by our religion had to do with our responsibility to help others. We are expected to be of assistance to others. “Being neighborly” is synonymous with being kind, friendly, and helpful to our neighbors and something that we are encouraged to do on a regular basis. It is more like mandatory community service. Following this I have always wanted to help those in need. Spending time with the drug addicts commonly found in Lahore, listening to their problems and trying to help them to solve the issues. Spending time with orphans or the disabled, another one of my passions is to spread happiness. Its common for me to roam around Lahore taking pictures of such people and forcing them to smile infront of the camera bearing in my mind that maybe my forcing of two minutes made them forget about their tragic lives and brought a little happiness. The horse cart ride or as we call it Tanga Tour is a unique and now a trademark to ALCC on which our guests are given the chance to enjoy the royal ride of its time and move across architectural and historical marvels. With the horse trotting on the Mall Road and then heading to the narrow streets of the inner city, our guests experience Lahore as it was in the old and golden times. Last but not least me and my team efforts will go on for the country till death!